Many schools have finished exams and learners are waiting to get their reports. 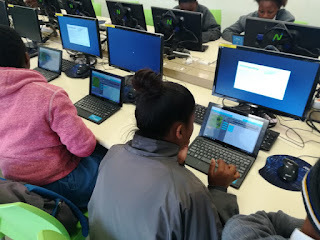 Technical Support Specialists based at Telkom Connected Schools in Zwide Township near Port Elizabeth in the Eastern Cape and Garankuwa, Gauteng have been using this time productively to provide learners with the opportunity to try their hand at basic coding. Brenda Mohale, based at NM Tsuene Secondary School and Mapfumo Mashau, based at Winterveldt Secondary School challenged their learners to complete the Minecraft themed Hour of Code tutorial. 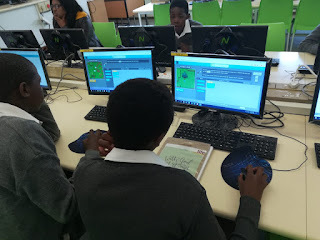 Even if learners had no prior experience of coding, they soon were using the simple drag and drop interface to solve puzzles, whilst learning basic computer science principles at the same time. 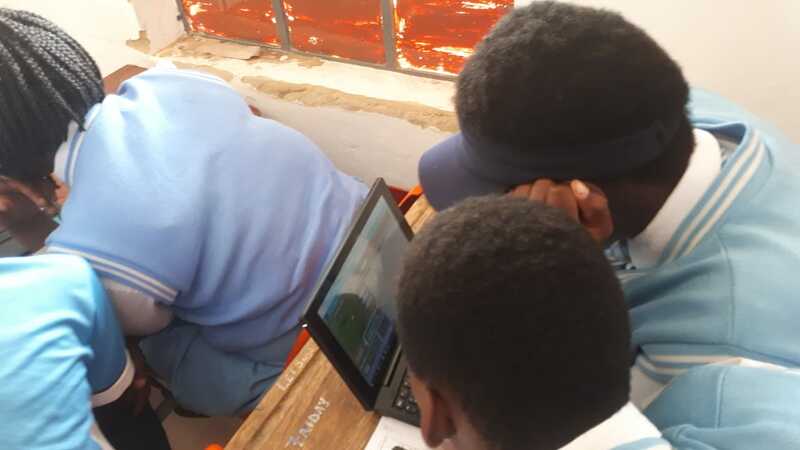 At Ruabohlale Secondary School learners the learners completed the Hour of Code outside so that they could use the Gauteng Broadband Network to access the online materials at code.org/minecraft. 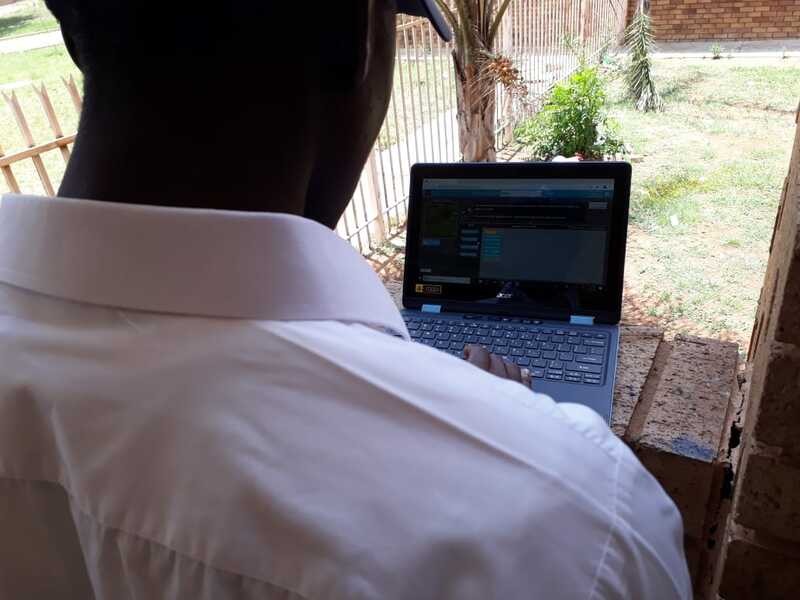 The ICT Support Specialist based at this school in Soshanguve, Thabang Tshabalala, encouraged learners to come to school and learn some basic coding instead of staying at home after exams were complete. 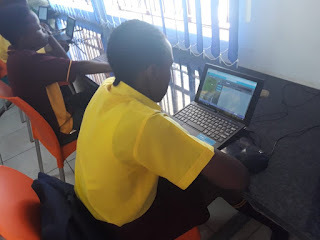 At Khwezi Lomso Secondary School in Zwide, the Hour of Code sessions proved to be so popular that the Technical Support Specialist based at this school, Ambesiwe Madolwane, ran two sessions so that more learners could have an opportunity to learn basic coding principles. In some cases, learners have caught on to the coding activities so quickly that they have ended up guiding their teachers through the tutorials. Siyanda Williams, the Technical Support Specialist at Ndzondelelo Secondary School, also in Zwide near Port Elizabeth, was delighted to be able to give learners who completed the Hour of Code a memento of the occasion. Microsoft Philanthropies generously sponsored Hour of Code branded goodies to give to learners at all of the Telkom Connected Schools who participated in these Hour of Code sessions as part of the Computer Science week. This blog is aimed at South African teachers who are using digital learning for lifelong professional growth. We aim to provide ideas, resources, information and inspiration for integrating technology into your lessons to enhance teaching and learning. To be part of our community of digital learners, please join our free SchoolNet SA Membership programme at http://www.schoolnet.org.za/. Please also 'like' us on Facebook and follow us on Twitter @Schoolnetsa. Blog posts are created by the SchoolNet SA team - with occasional guest posts from SchoolNet SA members. Please contact info(at)schoolnet.org.za for more information. Could one of your learners be the next Microsoft Office Champion? Join SchoolNet SA on Facebook! Click below. Flying Monkeys! - I am so proud of how well my class did in the show...I am sure that you will all agree!